Muscovy duck, raised with no antibiotics or hormones on a California farm in open, spacious barns that permit natural behavior. The stress-free environment, balanced grain diet and the fact that ducks are raised to full maturity - twice as long as the industry standard – contribute to the flavor of our Muscovy duck. 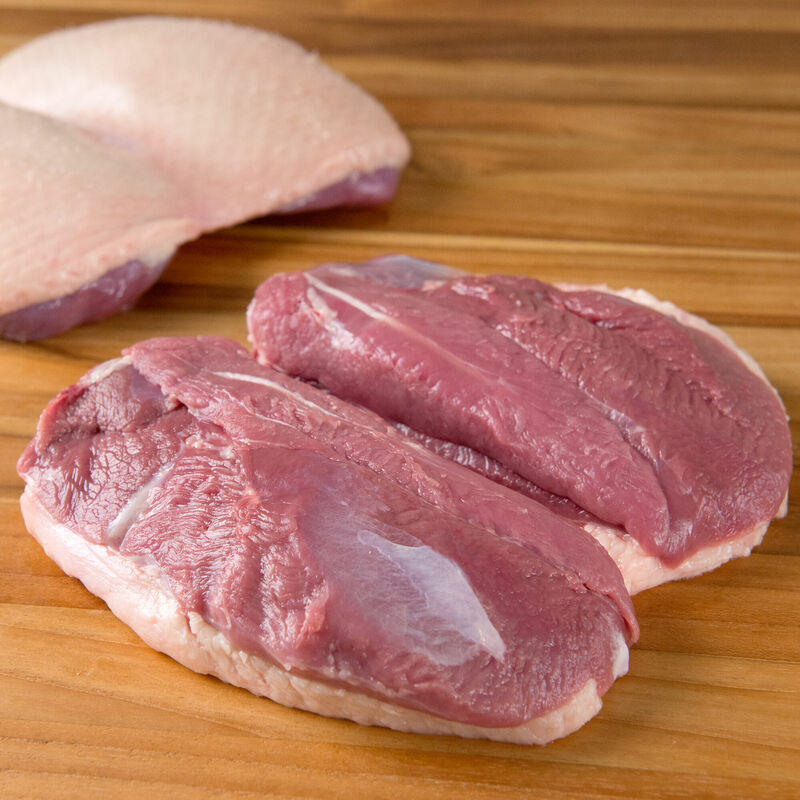 Prized for its lean, full-flavored red meat and thin skin, Muscovy duck is a favorite among our chefs. For over three decades, our California farm has followed the French humane breeding and husbandry traditions; ducks live in open, spacious barns that permit natural behavior. The ducks never receive any growth hormones, steroids or antibiotics, and are allowed to reach full maturity, at 85 days on average, which is twice as long as industry standard. This is a crucial difference between our methods and those of the average farm. The ducks get a balanced diet of corn, soy, wheat and alfalfa.